At its meeting on March 20, 2019, the SCERS Board directed Staff to distribute a discussion draft of the Post-Retirement Employment Policy to stakeholders for comment and to bring the policy back to the Board for final approval at a future meeting. The SCERS Board of Retirement approved cost-of-living adjustments (COLA) at its meeting on February 20, 2019. All Tier 1 members (both Miscellaneous and Safety) will receive a 4% COLA. All Miscellaneous Tier 3, 4, and 5 members and Safety Tier 2, 3, and 4 members will receive a 2% COLA. The COLA for 2019 will be reflected in direct deposits and checks issued on April 30, 2019. 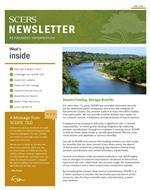 The latest edition of the SCERS newsletter has been published. The Winter 2019 newsletter includes an investment update, cost-of-living adjustment information, important tax information, benefit FAQs, and details on upcoming events. The newsletter has been posted on the SCERS website in the Newsletters section and has been mailed out to all of our active and retired members. Retirees should receive their Form 1099-R from the Sacramento County Employees’ Retirement System (SCERS) in late January or early February 2019. Please note that the SCERS’ Employee Identification Number (EIN) has changed. The change is effective for the 2018 tax year and for future tax years. Please be sure to update your tax filing records and forms accordingly. If someone prepares and/or files your taxes for you, be sure to notify your tax preparer of this change. The Sacramento County Employees’ Retirement System (SCERS) has launched an initiative to increase the use of direct deposit. About 96% of SCERS members already have their monthly pension payments directly deposited into their bank accounts. Just 4%, or approximately 400 retirees, are receiving paper checks in the mail. Sacramento County Employees’ Retirement System (SCERS) has hired James Donohue as Deputy Chief Investment Officer (Deputy CIO). The Deputy CIO assists in the formulation and evaluation of investment policies and strategy, the development of the asset allocation and asset class structures, the risk management framework, and the oversight and selection of investment managers and service providers of the $9.2 billion fund. SCERS continues to make progress on meeting its long-term benefit obligations. The SCERS Board approved the annual actuarial valuation on November 5, 2018, which showed the SCERS funded status increased from 80.4% to 82.5%, on a market value basis, as of June 30, 2018. The unfunded liability is approximately $2 billion and is projected to be eliminated within 20 years. Welcome to our new newsletter. Our goal is to provide you with interesting news and resources throughout the year, whether you retired 10 years ago or are 10 years away from retirement. 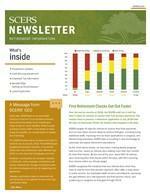 The newsletter will be mailed to all of our active and retired members. The newsletter will also be posted to our website. Please check the Newsletters section for new issues. The Sacramento County Department of Voter Registration and Elections announced election results on October 18, 2018, for three seats on the SCERS Board. Matt Petersen, a captain in the Sheriff’s Department, was elected as Safety Representative; John Conneally, a fire battalion chief at the Sacramento County Airport, was re-elected as Alternate Safety Representative; and, Diana Gin, a human resources manager with the Department of Personnel Services, was elected as Miscellaneous Representative. Ms. Gin previously served on the SCERS Board from 2011-2016. The three-year terms begin January 1, 2019. The Sacramento County Employees’ Retirement System (SCERS) is pleased to announce the launch of its new website. This is the first phase of our website redesign project, which will provide our members improved functionality and additional features on a modern platform, including a responsive design which enhances usability on mobile devices. The Sacramento County Employees’ Retirement System (SCERS) announced a preliminary total fund return of 10.1%, gross of investment management fees, for the fiscal year ending June 30, 2018. Over the last 3 and 5 years, the SCERS’ gross annualized return was 7.6% and 8.3%, respectively. Though SCERS’ returns have come in above the actuarial return of 7.0%, we remain cautious about future expectations. Capital market assumptions continue to point toward reduced returns going forward, as demonstrated by periods of increased market volatility in 2018. An election will be held for the Sacramento County Employees’ Retirement System (SCERS) Retirement Board for a Miscellaneous Representative, Safety Representative, and an Alternate Safety Representative. The terms of office for all three trustees will begin January 1, 2019 and end December 31, 2021. 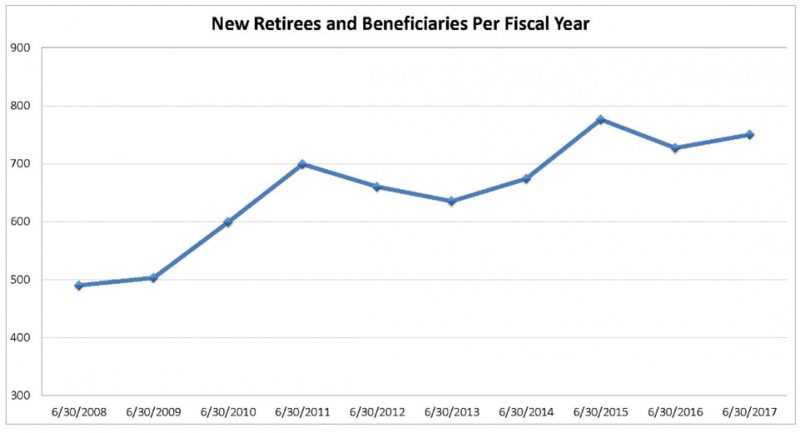 Why Did My Pension Contribution Increase? Employees may have noticed changes in pension deductions on their final paycheck for July. The SCERS Board approved new contribution rates last year that took effect for July 2018. The specific rates vary based on retirement tier and labor agreement. For more than 75 years, SCERS has provided retirement security for the dedicated public employees who serve the residents of Sacramento County. Our pension system is more than 80% funded and sustainable – we can provide benefits without interruption to our retirees, current employees, and generations of future workers. However, issuing our new retirees their first retirement check takes longer than it should. We can do better, and we will.